How animals have helped mankind in time of war. Pigeons carrying vital messages to and from the beleaguered city during the Siege of Paris; horses and mules struggling through miles of fetid mud to bring ammunition to the front in the Great War; dogs sniffing out mines for the British invasion force in the Second World War - countless brave animals have played their part in the long, cruel history of war. Some have won medals for gallantry - like G.I. Joe, the American pigeon who saved 100 British lives in Italy, and Rob, the black and white mongrel who made over twenty parachute jumps with the SAS. Too many others have died abandoned, in agony and alone, after serving their country with distinction. 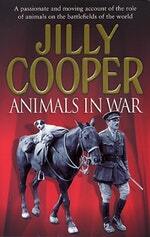 Jilly Cooper has here written a tribute to the role of animals in wartime. It is a tragic and horrifying story - yet it has its lighter moments too: a hilarious game of musical chairs played on camels during the Desert Campaign; and the budgie who remarked, when carried from a bombed-out East End tenement, 'This is my night out'. This is a vivid and unforgettable record of man's inhumanity to animals, but also an astonishing story of courage, intelligence, devotion and resilience. 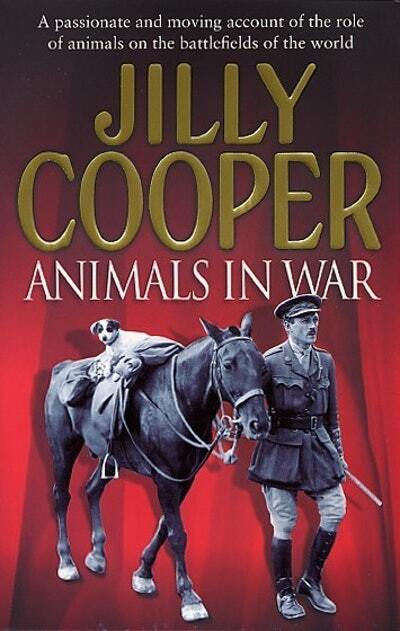 Love Animals In War? Subscribe to Read More to find out about similar books.